Last month, the Birthright Israel division of the Mayanot Institute of Jewish Studies was awarded the Taglit-Birthright Israel “Certificate of Excellence” in Marketing and Recruitment, for their accomplishments during the thirty third round of the program's operations. 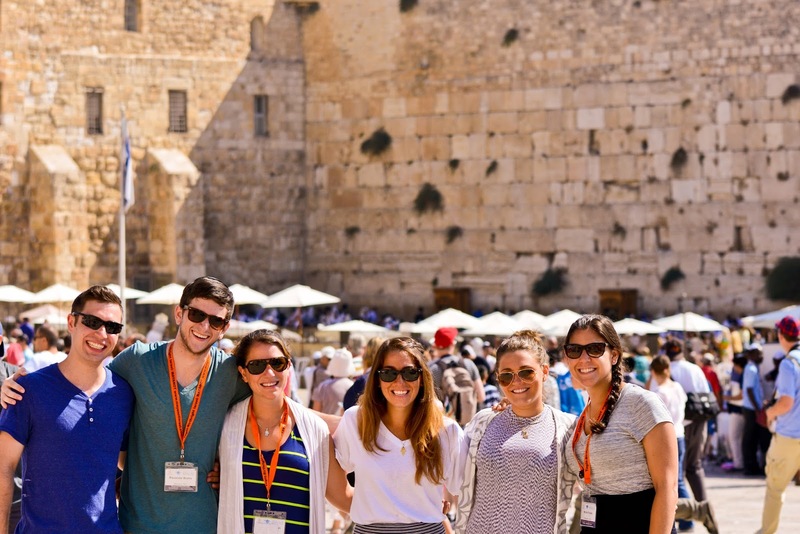 Since inception, the marketing plan of the Birthright division has been to engage as many young Jewish adults as possible and to inform them of the gift that Birthright Israel offers. Our efforts have taken on the form of developing a brand that is unique to Mayanot - one fresh and clean but with a deep link to Israel and Judaism. To achieve it’s goals, Mayanot’s Birthright division has focused on both digital and physical media components. For Mayanot, it is just as important to have a relevant and active Facebook presence as it is to have fliers to hold in your hand. Mayanot stands on the forefront of social media marketing, always looking for new avenues to deliver our message. The marketing initiatives Mayanot has deployed has allowed new recruiters across the United States to become a part of the team, and it goes without saying that recruitment efforts are aligned with the mantra of Chabad Shluchim the world over and Chabad on Campus as a whole. Their ability to take our resources and implement them into their communities is unmatched and their motivation to pursue. 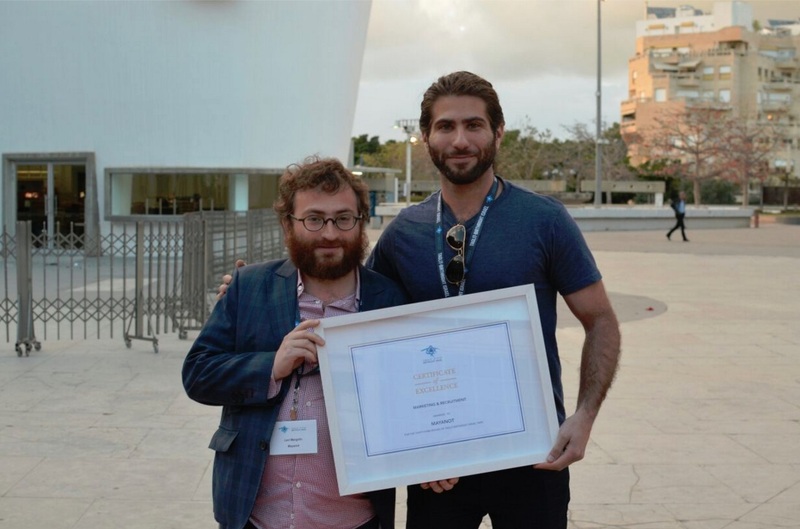 The marketing team is led by Levi Margolin, the Director of Marketing for Mayanot Israel. At his side, coordinating recruitment efforts is Jonathan Kramer, Recruitment Director. Two incredible interns over the past year, Jordan Shipowitz and Jordana Balsam, who were able to offer an incredible perspective to the social media initiatives. 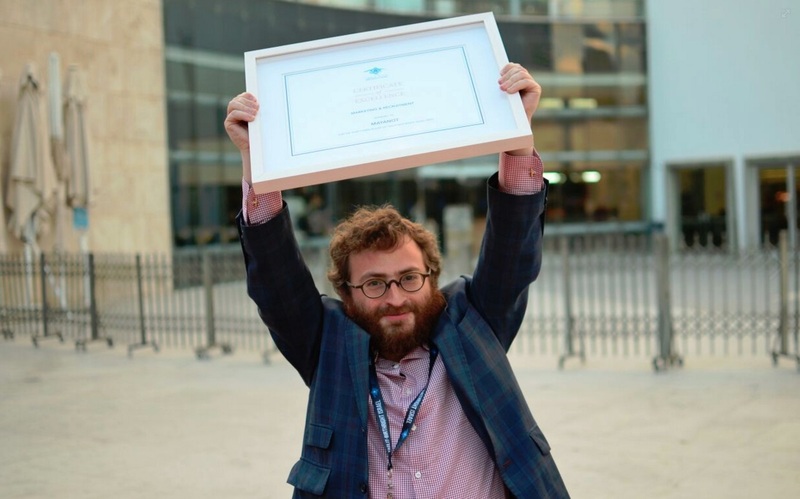 However, this award is shared by the Mayanot team as a whole, under the able leadership of the Director, Danny Sack. 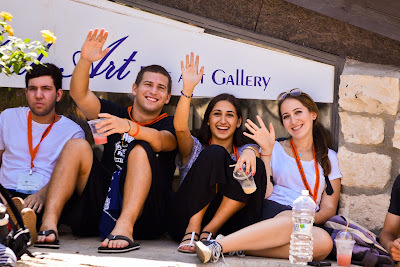 Every member of the organization believes in the mission at hand to connect as many young Jewish adults to Israel and Judaism as possible. We thank everyone that has been with us and supported Mayanot over the years. Bringing Torah and Chassidut to you regardless of where you are located, around the globe! Thanks to our dedicated staff & student body, we have began a new project, headed by current student, Mendy Mentz, sharing the Torah of our students. 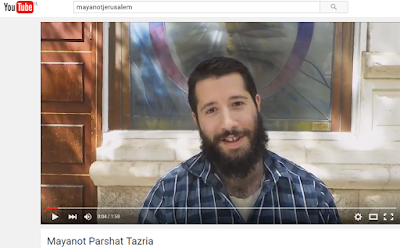 2 min Parsha with Yitzchak Kovach, of Hungary, & current Mayanot student. Straight from Jerusalem, Israel in front of the Mayanot Men's Program Building. Among my otherwise unremarkable luggage, I brought two items of especially personal value to Mayanot. The first was my bicycle, a ‘cyclocross’ model designed to handle well on a variety of terrains, from road and light rail tracks to cobblestone and dirt. The second was a slight Robert Frost collection with dark print, generous spacing, and thick cotton pages. 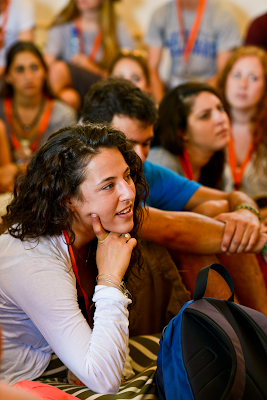 As a returning student at Mayanot (I first attended in the summer of 2014), I knew from experience that diving deeply into yeshiva learning, and the consequent reorientation of a person’s outlook and inner world within an environment of Torah and Chassidus, requires a healthy oxygen supply of familiar attachments to bolster the diver’s spirits and lessen the ‘bends’ attendant upon future surfacing. Biking, with its combination of exertion, balance, speed, and exhilarating freedom culminating in satisfying exhaustion, afforded a fulfilling afterlife to my former athletic career, while Frost’s homespun, thought-provoking poetry maintained a cherished link to my New England roots and University literary studies. 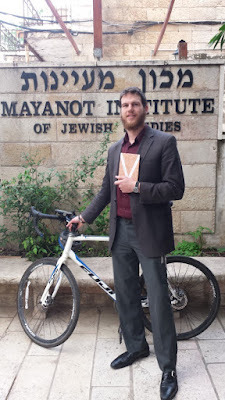 So into yeshiva I plunged, bicycle, book and all. Several months later, pausing for water outside Jerusalem along a Friday afternoon bike ride, I surveyed a vista of meandering stone walls in the valley below me, marking the boundaries of long-absent neighbors. The ancient stone barriers brought to mind the boundary-marker construction cases I’d been studying in Bava Basra, along with the line “Good fences make good neighbors,” inherited wisdom a taciturn neighbor invokes in ‘Mending Walls,’ one of my favorite Frost poems. Biking back to yeshiva, I considered how the boundaries within which we live, whether simply as neighbors or more richly as Torah-observant Jews, nourish and sustain us. In the months that followed, as I gradually progressed at parsing Rashi, then deciphering Tosafos’s articulations, I came to love the Gemora’s language, arguments, and speakers with a deepening familiarity that rivaled my connection to cycling and poetry. Meanwhile, I began to see the fruits of my Ulpan labors in increasing reading competence, and as my study of Chassidus advanced I made independent forays into the translated Hebrew edition of Likutei Sichos on the bookshelf beside my seat in zal. Step by step, in chavrusa and increasingly with only my trusty dictionary, I learned to hear, and love, the words of the Chabad Rebbeim speaking from the page. With greater authority than any suggestion of principle or duty, that romance of student and text has made my learning at Mayanot profoundly real and personal.